DO-17101-28 was succesfully added to your cart. 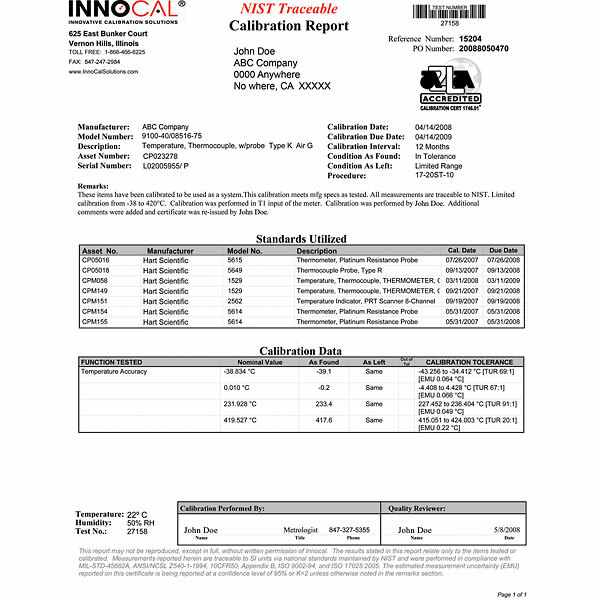 Calibrations on hipot testers are performed using high-accuracy multi-function calibrators and standard-grade reference multimeters per manufacturer’s recommended procedures. Measurements can be taken up to 40,000 Volts, 20.5 Amps, and 10 Tera-Ohms.